Please scroll to read details and to register. How does social-emotional learning intersect with academic learning? How can you amplify student agency and advocacy to empower students as stewards of their own learning? How can we design school and classroom cultures that cultivate and respond to student voice and identity? This course is a fantastic option for educators who are interested in creating engaged and empowered democratic citizens. The course will examine how social-emotional learning intersects with academic learning. Students will explore and discuss strategies to increase student agency and advocacy and create thriving learning communities marked by shared understanding, ownership, and respect. Participants are invited to grapple with these and other questions through lively discussions, hands-on projects, readings, and school observations. Participants will help shape our exploration of student agency and advocacy. They will come away with understandings and strategies for deepening student engagement that are applicable to our own educational communities. This is a unique opportunity to connect, collaborate, and network with local professionals in an interactive, collegial environment. You are invited to join us on Wednesday, April 24th at UCDS. How much do children really understand about race? How can you support a child’s developing cultural identity? Recent research has shown that children have very complex understandings of differences and stereotypes. Far from being color-blind, most children are aware of how their own skin color is an advantage or disadvantage. They also judge their peers based on stereotypes that adults might like to believe they are unaware of. Because of this, it is important to give youth anti-bias messages, through actions and words, to actively counter what they are witnessing in the world. They also need to learn how to advocate for themselves and others. 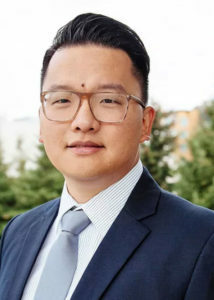 Richard Kim from Cultures Connecting will lead us as we explore how young people in early childhood through their teen years are socialized to practice racism and privilege. You will learn strategies to teach youth how to stand up and confront bias they encounter. Richard will draw from diverse experiences to engage parents, teachers, and concerned community members in this vital work for equity. Learn how young people see and understand race. Discover ways to support healthy ethnic identity development in young people. Practice strategies for talking with young people about countering bias. Richard D. Kim brings over seven years of professional experience engaging a person-centered approach to engaging race, culture and identity in various non-profit and education settings. Most recently, Richard worked as the Intercultural Credibility Coordinator/Consultant at The Seattle School of Theology & Psychology, where he also received his M.Div. Richard also holds a B.S. from the University of Minnesota. As a person born in the United States to parents who emigrated from South Korea, Richard brings an uncommon voice to the work of racial equity. This five day course is designed for pre-K, elementary, and middle school educators. Participants will experience a fun and theme based way to teach math across all the subject areas! This hands-on interactive course offers techniques for teaching math concepts through a variety of student learning style approaches. In addition, we highlight how to blend these varied techniques with traditional teaching methodologies and grade level requirements. Learn unique ways to use manipulatives for teaching new concepts, extending current understandings as well as for easy and detailed assessments. The techniques explored in this course will work in conjunction with your existing curricula. Nobody attending this course will be put on the spot to share their mathematical skills, so whether you are a math expert or not, you will have fun while learning new techniques to take back to your classrooms. All experience levels welcome. Come and explore! Melissa Chittenden is currently the Assistant Head of School at University Child Development School. Melissa has worked as a teacher and school administrator for more than 30 years. She is also an adjunct professor at Seattle Pacific University. She is an international presenter and consultant for curricular topics as well as the author of an upcoming hands-on math book for elementary teachers. Melissa holds an MA from Seattle University in Non-Profit Business Leadership, a BA in Human Development and Education as well as an AA in Early Childhood Education. She specializes in teaching educators throughout the world how to use hands-on math activities in ways that support the various student learning styles found within every classroom. David Garrick is the Dean of the Graduate School of Education at the UCDS College for School Culture. He has been an educator, administrator, and consultant for over twenty years. David has led workshops and classes for adults across the country that include topics such as: concretizing concepts with hands-on learning, inquiry based teaching, student advocacy, and arts integration. David holds a B.A. in History from the University of Washington and an M.A. in Fine Arts from the University of Montana. He earned his Washington State teaching credentials from Western Washington University. David specializes in teaching about school culture’s impact on student success by identifying cultural elements that support student and teacher engagement. The UCDS Institute hosts a variety of events, courses, and educational workshops throughout the year. Our offerings range from one-off evening seminars and speaker events to intensive, credit-bearing courses. Our instructors are experienced UCDS teachers and workshops are designed so that the techniques explored will work in conjunction with your existing curricula. Our expert faculty designs workshops and courses to be informative, hands-on and most of all, fun! For almost 25 years, teachers from around the world have attended this week-long workshop. This hands-on, interactive course offers techniques for teaching math concepts through a variety of student learning style approaches. Participants experience a fun, theme based way to teach math across all the subject areas. Always in demand, UCDS faculty have been invited to present this course all over the country. Participants learn how to teach data collection, analysis, and recording for preschool and elementary-aged children. Our series of lab-based science workshops are annual favorites on campus and around the country. In conjunction with the 2018 National Art Education Association (NAEA) Annual Conference, UCDS welcomed teachers from around the world to our day-long kite-making workshop. 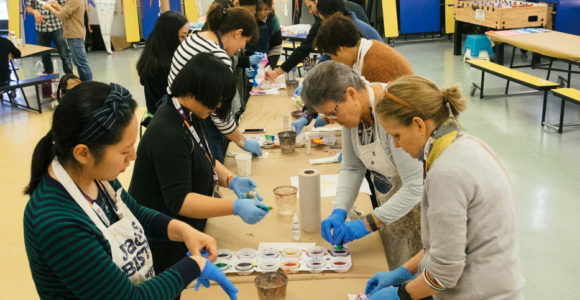 Beyond the visual arts, this STEAM course focused on creating multi-discipline curricula. For many years, the National Association of Independent Schools (NAIS) has invited UCDS to present at their annual conference. 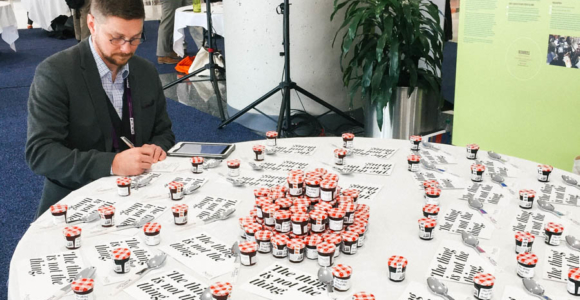 In 2018, UCDS led a workshop at the "Innovation Kitchen" on how our own school culture determines what types of challenges our institution takes on. Whether held on our Seattle campus or hosted at your school, UCDS Institute workshops are some of the most informative and fun professional development you’ll find anywhere! Contact us to learn more about how you can host or attend one of our events, courses, or workshops.